Ultra Smooth Jazz Grooves is available on Amazon. I recently stumbled upon a series of books originally published in 2009 entitled “Ultra Smooth Jazz Grooves” from ADG Productions. If the name sounds familiar, it might be because we offered a few of their books as part of our 12 Deals of Christmas on Teen Jazz, but it also might be because the name of the book is a variation of the name of the duo that assembled and wrote it – The Super Groovers (their album “Supergroovin’” did notably well on radio after its release). 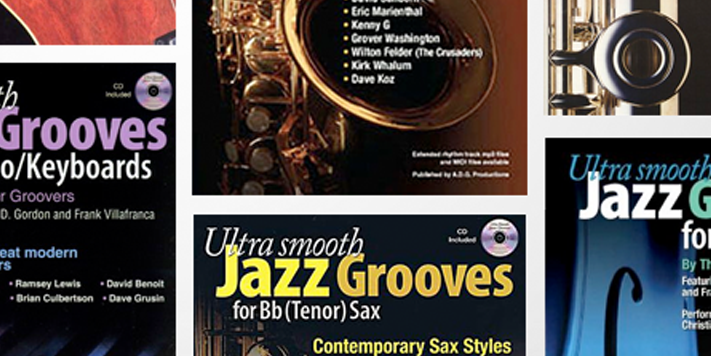 The composers/authors, Saxophonist Frank Villafranca and Keyboardist Andrew D. Gordon, created the “Ultra Smooth Jazz Grooves” series to offer performers instruction in the smooth jazz genre – a style that is often overlooked by music method book publishers. 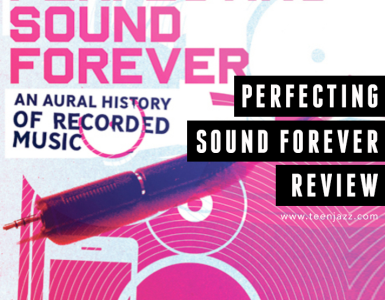 And with their 46-page guide, the pair certainly do an excellent job to provide performers with the tools they need to learn the style and techniques essential to the genre. It’s available for Bb instruments (tenor sax and trumpet), Eb instruments (alto sax or bari sax), Piano, Flute, Guitar and Violin. 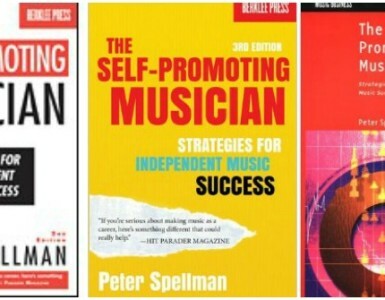 As I mentioned, there isn’t a very wide assortment of materials available for learning smooth jazz, and so, I was quite naturally interested in checking out the books. The various tracks and exercises each cover the different styles of music that have influenced the smooth jazz genre including R&B, Jazz, Funk, Rock, Gospel, Latin, Top 40, and even Hip Hop. And although it is designed to suit beginning, intermediate and advanced students, I personally believed it is geared more more towards intermediate and advanced players. Some of the rhythms and exercises are challenging and they might seem daunting to a beginner. The concept behind the book is to offer smooth jazz learners three melodic ideas over twenty tracks varying in style so that the player is equipped with the tools and vocabulary frequently utilized in the genre. Each exercise also includes a collection of relevant scales or patterns for further study. As the student progresses through the book, the exercises continue to increase in difficulty, offering a challenging yet fulfilling experience. One of the things I found extremely helpful as I navigated my way through the material was the way in which the audio tracks were laid out. Each exercise was first performed by Frank Villafranca and then space was left for me to repeat what I had heard over the backing music. It was really helpful to first here how the exercise should be performed and then have the opportunity to recreate it myself. On the other hand, one of the things I found a bit unfortunate was the fact that the extended playalong tracks (so that you can experiment with developing your own improvisation) are not included with the book. I understand that this was done to keep the overall cost down, but I’d rather pay a slightly higher price to get the entire package rather than paying for the book and then find out that I have to get a second set of tracks separately, but that’s just my personal preference. Overall, I’d like to say that the exercises and recordings are put together nicely and I learned quite a bit playing through them. Definitely recommended if you’re interested in delving into smooth jazz. Get Ultra Smooth Jazz Grooves on Amazon. 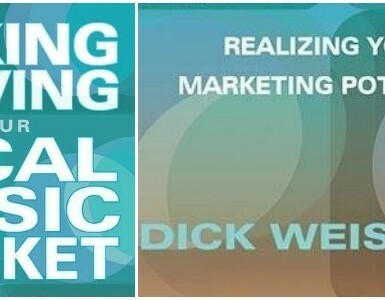 For more information about the “Ultra Smooth Jazz Grooves Series” and the numerous other books available in various styles and for different levels, visit ADGProductions.com.